Are you moving to a new server but still have time left on your old certificate? You may be able to move your certificate to the new server. 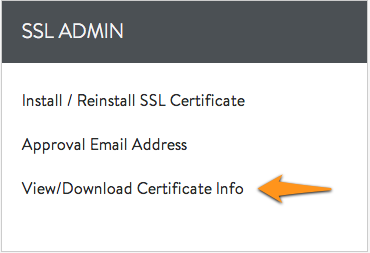 When moving an SSL, the certificate needs to be for the same domain name on the new server. The certificate. This will be a block of encrypted text. It should say --BEGIN CERTIFICATE-- at the top. Copy or download the whole thing, including the beginning and ending text. If you're downloading the raw file, it will probably end with .crt. There may also be up to three chain certificates or CA certificates, which you will also need to download. The private key. Again, this will be a block of encrypted text. It should say --BEGIN RSA PRIVATE KEY-- at the top. Copy or download the whole thing, including the beginning and ending text. If you're downloading the raw file, it will probably end with .key. The server types must match. For (mt) Media Temple, you must have an Apache version of your certificate available. If your previous server was also an Apache server, you should be able to just copy the existing certificate. If not, you may need to either download a different version of the certificate (if your signing authority provided you with one) or purchase a new certificate. If you do not have all of these things, the import will not work. You will need to purchase a new certificate. From the Overview page, scroll down to the Add-On Services section and click on the Manage button to the right of your existing SSL that you wish to renew. Click the View/Download Certificate Info option. 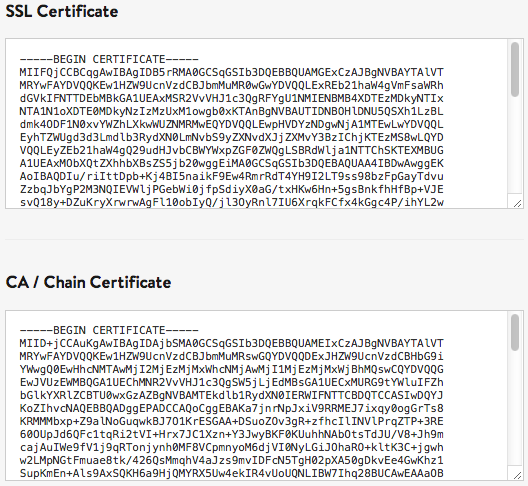 Copy the Certificate, any chain certificates if they exist, and the Private Key. 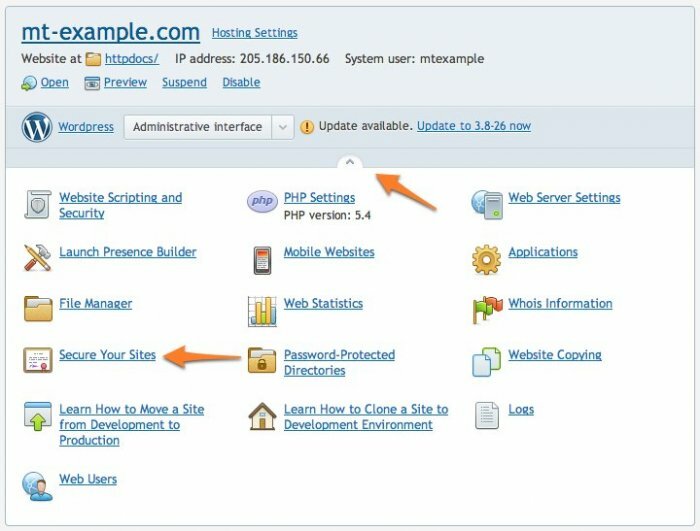 You can also create a user that will log into the Control Panel by default, which will save you a few clicks on day-to-day webmaster tasks. See Control Panel user. Click on Websites & Domains. Click on "Secure Your Sites." Click on the certificate name to continue. The next screen contains the details of your certificate. Copy the Private key, the Certificate, and any chain certificates if they exist.